The theory of predestination paradox might be true because rustic decorations with old-fashioned clichés have now become a sign of stylish and fashionable modern interior. Rustic furnishings undoubtedly add unassuming, organic texture to the interior of a house, which prompts feelings of warmth and nostalgia something that is associated with bygone times. If you want to design your interior on elegant rustic line of style, then there are different lighting fixtures that can be fine options. Rustic pedant lighting is a brilliant way to adorn your interior with stylish, minimal and classical look. Rustic pedant fixtures can provide your space with unique environment. They are ideal for places where you want to have your focus on generally one thing. For instance, rustic pedants are good to hang above the desk in your study. You can also use them in the kitchen above the sink or your stove to illuminate specific spots. Rustic pedant fixtures are best to get the soft stream of light. If you have an open kitchen in your house, then the fixtures used there will also play an important part in defining the look of your interior. If you want to create a rustic interior environment, then make sure that light fixtures of your kitchen also go well with the rest of the interior. Rustic island lighting can create the environment you want while simultaneously provide you with effective lighting in the kitchen area. There are several rustic designs that you can choose from to enhance the profile of your kitchen island. If you want the ultimate look of the Victorian Era in your interior then rustic chandeliers are the best enhancements you can use. Rustic chandeliers can add sophistication and richness to the interior design of your house. There is no doubt about the utility of chandeliers as decorative pieces, but rustic chandeliers can also be used to illuminate large halls or living rooms in the house. Dim chandelier lights also come handy when you are away and don’t want to your home to fall in total darkness. The aura they create is soft and unique. Other rustic lighting fixtures that can add value to your interior design are wall scones. They are ideal for when you simply want to create that rustic ambience in your hallways. In bedrooms, they can be used for the purpose of muted illumination. They can also be installed above pictures and paintings hanging on different walls in your house to increase the classic appeal of your house. These functional rustic lighting fixtures can be used anywhere in the house. They are suited best in areas where you want the maximum amount of light. The rustic designs of ceiling lights ensure that functional lighting fixtures complement the overall design of your interior. They are available in different sizes and designs to provide you with a variety of options. 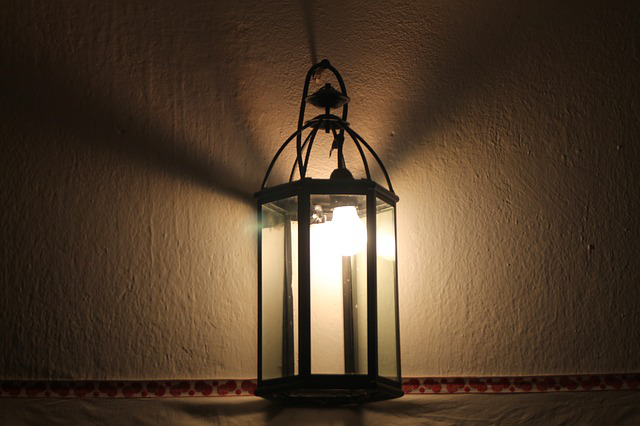 Using rustic lighting fixtures will add the authenticity of old times that you want from your interior design.